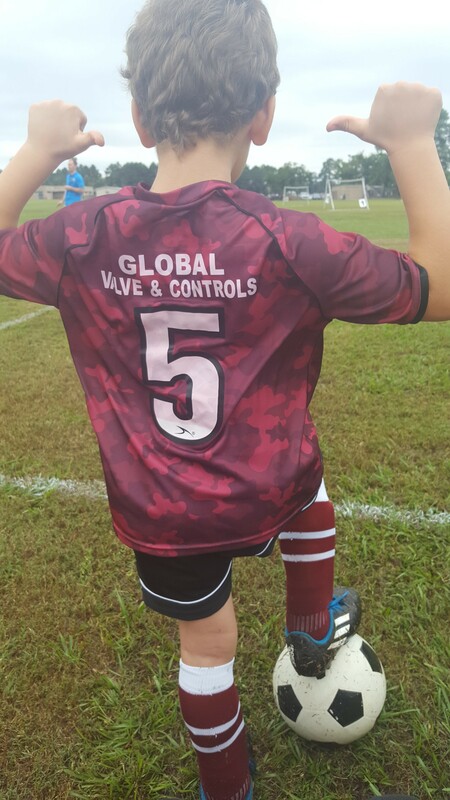 This year we decided to sponsor the Tornado soccer team which is part of Fun Fair Positive Sports or FFPS. Our very own D’Aunna Goins son is part of that team. 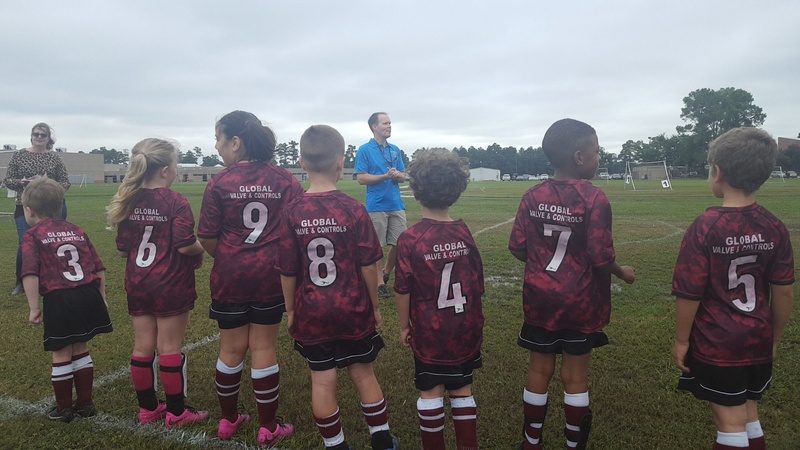 In case you have not heard of this group, FFPS is a non-profit organization which promotes noncompetitive soccer in a fun, safe and positive environment. 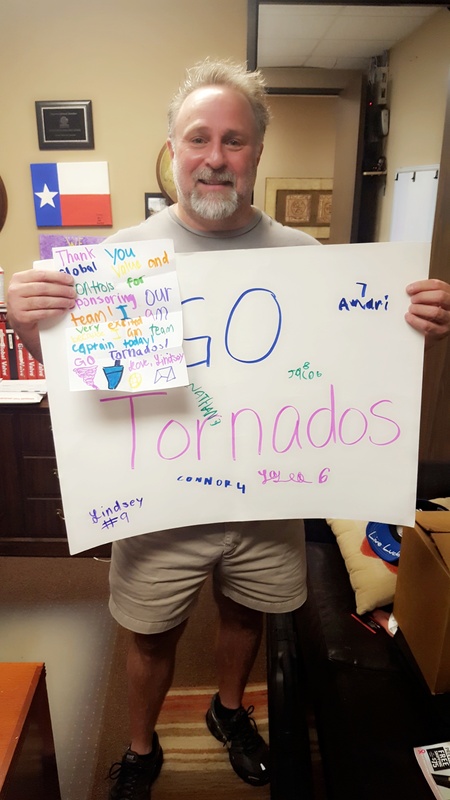 This past weekend the Tornados have played against the Creepers, Rangers and the Jaguars. We are very excited to learn that the Tornados scored victory and won all the games! The age group for the soccer teams consists of 6-7 years old. If you happen to see or talk to D’Aunna be sure to tell her congrats on her sons’ team! A big THANK YOU to GVC for sponsoring this event! This entry was posted in Uncategorized on October 22, 2018 by gvcadmin. Different types of bores for ball valves – full port, reduce port and V-port. These three types have different constructions and purposes. Full Port Ball Valve – A full-port, also known as a full bore, ball valve has a bore internal diameter (ID / inside diameter) approximately equal to the pipeline ID. This allows for reduced friction and pressure loss across the valve. With a full port ball valve there is NO restrictions to the flow of medium, but the valve can be more expensive. This type of bore is ideal for situations where pigging may be necessary. Global Valve & Controls (GVC) series CFS and 2T/3T split body and welded design, full port, flanged ball valve combines its sealing technology and design expertise for over 25 years with the versatility to solve even the most demanding applications . This technology and expertise is widely used in the chemical, pulp and paper, petrochemical, food and beverage and refining industries. Reduce Port Ball Valve – A reduce-port, also known as a reduce bore, ball valve is a valve in which the bore is reduced to one or two nominal sizes lower. This provides a more restricted flow path, generally resulting in higher energy losses. Global Valve & Controls (GVC) series RCFS and R2T/R3T ball valves offer both full port and reduce port valves. Known for its design features , superior sealing areas and various stainless alloys , the GVC brand is widely recognized as a leader in providing valve and flow control solutions for the energy , and oil and gas industries’ for a general all around great product and a fair price. V- Port Ball Valve – A V-port ball valve has either a “V” shaped ball or a “V” shaped seat. This type of valve also is known as a control valve in which the flow velocities need to be controlled / regulated as required per the application. 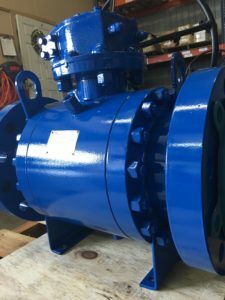 In closing Global Valve & Controls ball valves can be used in a variety of applications and markets, such as pipeline transmission, pig launchers, storage facilities, pulp and paper facilities , food and beverage , gas processing , industrial, and many more . Troy Richard, founder of Global Valve & Controls (GVC) explains that ball valves provide reliable leak protection and fugitive emissions concerns. 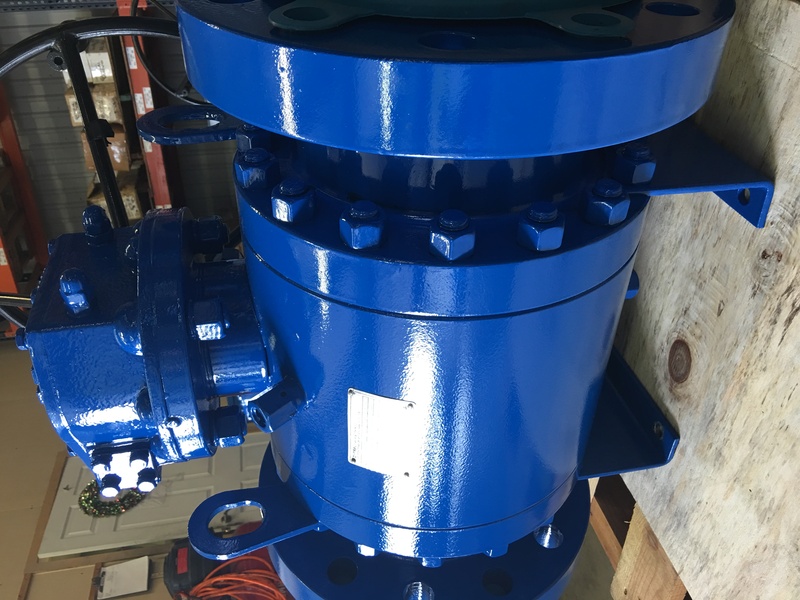 Ball valves can be open and close quickly in which saves time and money on all automation packages. This entry was posted in API 6D Valves, Automated valves, Double block and bleed valves, Flanged Valves, High Pressure Ball Valves, Pipeline Valves, Pipelne Ball Valves, Reduced Port Ball Valves, Trunnion Ball Valves, Trunnion mounted ball valves and tagged API 6D Valves, Flanged Ball Valves, Full Port Ball Valves, Pipeline Ball Valves, Trunnion Ball Valves on May 23, 2018 by gvcadmin. In the world of valves there is always so many to choose from. 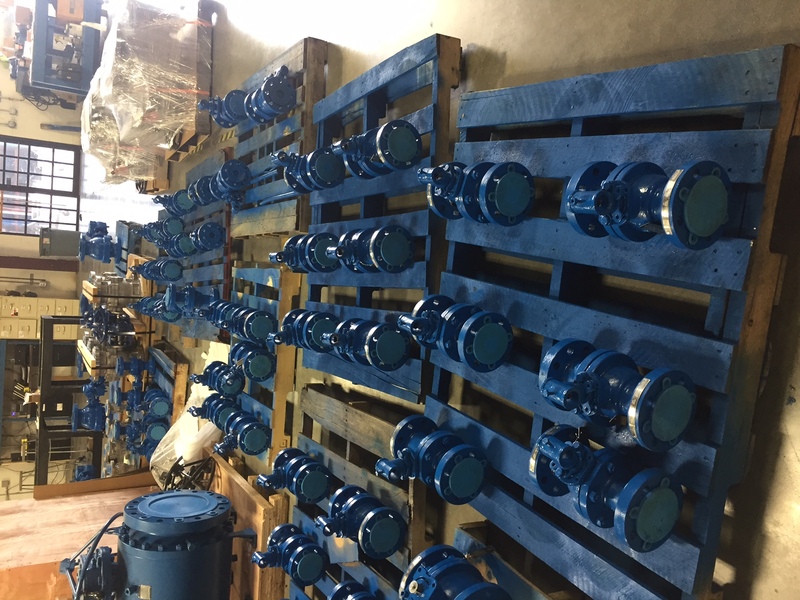 Flanged ball valves, Threaded ball valves and the list goes on! Other things you must know when calling in for a quote is the size, trim, material, reduced or full port of the valve and most importantly what the valve will be used for. When you have finally decided that you need a flanged ball valve for your application, you will need to decide if you will want a 1, 2 or 3 piece valve. You will make a decision based on cost, maintenance and if it will need to be automated. 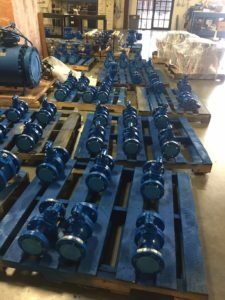 This entry was posted in Flanged ball Valves, Flanged Valves, Full Port Ball Valves, Reduced Port Ball Valves and tagged Ball Valves Houston, Cast Steel Ball Valves, Flanged Ball Valves, Full Port Ball Valves, Reduced Port Ball Valves, Stainless Steel Ball Valves, Trunnion Ball Valves on September 20, 2017 by gvcadmin.